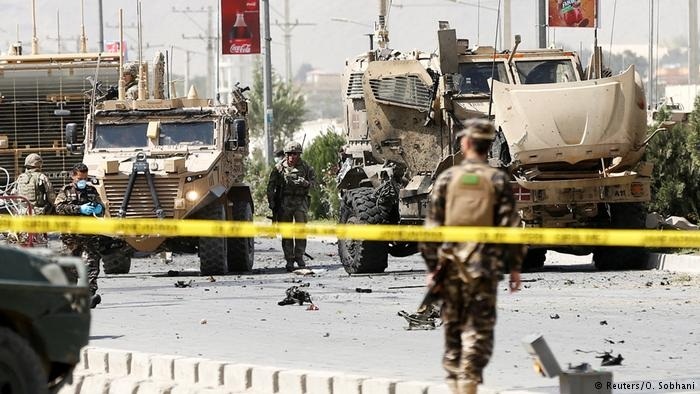 The death toll from a suicide bombing targeting a convoy of security forces outside Kabul early Tuesday jumped to 12, officials said, with several civilians killed in the latest Taliban-claimed attack near the Afghan capital. "Twelve people including four members of the security forces were killed," ministry of interior deputy spokesman Nasrat Rahimi told AFP. Kabul police confirmed the casualties.